SHOOTING THE BREEZE . . . . OC FUN FOR ALL! Come and join the fun at the Environmental Nature Center’s 9th Annual Spring Faire and Butterfly House Opening! View their Children’s Art Show, “Wildlife of the OC”. Enjoy delicious food from local restaurants. Visit Orange County’s only butterfly house and purchase native plants that attract butterflies and birds to your own yard. Purchase a re-usable ENC canvas bag for $5 – your “ticket” to make awesome crafts! Decorate your body with face paint or henna. Get a massage from the nice folks from Greet the Day! Play nature games, attend “Story Time”, see a live Bird of Prey presentation from the OC Bird of Prey Center, and learn more about wolves from Wolf Totem Ambassadors! Now in its 21st year, Wild & Crazy Taco Night™ has become one of the most popular events in Orange County! Get ready for a fun and festive evening where 25 of Orange County’s finest chefs and restaurants each prepare an unusual and unique taco. The chefs’ creativity is endless and the food leaves guests talking for the rest of the year! Mike and I went last year and enjoyed the food, the chefs from places like The Island Hotel, Taco Asylum, Slapfish, Sol Cochina and meeting lots of new Friends! You don’t want to miss the pre-event VIP Party! 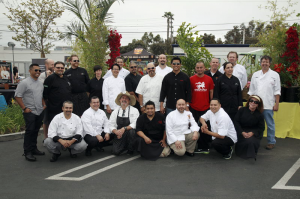 Participating guests will enjoy early admission into the event and will have the opportunity to meet all of the chefs and sample their tacos before the general event begins. The VIP Reception has sold out each year. VIP ticket purchasers will also be entered to win a Tres Sietes Tequila basket featuring three bottles of premium tequilas, including a Limited Edition Wyland Series bottle. 275 Orange County families each day. 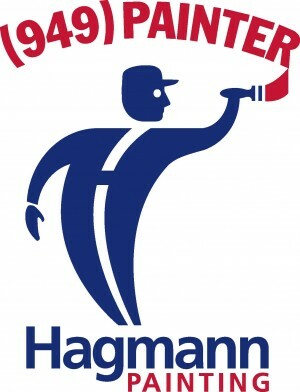 I quit putting my pin in a long time ago, because of those questions and now I find it is much safer too! If they steal your card number they don’t have your pin—so your bank account is safe from those annoying hackers!! Wow....can’t believe Springtime is right around the corner!! Hopefully the rains will soon have the Island bursting with blooms! Most Balboa Islanders who take pride in showcase-quality gardens know ‘the’ nursery of all nurseries, right around the corner @ Roger’s Gardens in Corona del Mar, is an experience to simply stroll the grounds this time of the year. Take in the colorful beauty, then pick up your seed-packets, potted plants, gardening-tools & gloves. Stop in soon! Sunny days ahead on Balboa Island, as in ’Sunny Days’ clothing store at 304 Marine Ave. I had eye-candy all around me as I browsed this eclectic collection of women’s apparel & hand-crafted accessories. Pleasant and efficient ‘Jocelyn’, showed me around all the name-labels and artisans. ‘Soul Sisters’ a sibling duo out of San Clemente have the coolest, hand-crafted jewelry for the store, featuring precious gems w/ silver. Prices begin at $160.00 . Other labels in the shop are the wildly popular ‘Lisette’ - fit-perfection pant collection, ‘Allen-Allen’ relaxed separates for Spring “14 and famous ‘Tom’s Shoes’. 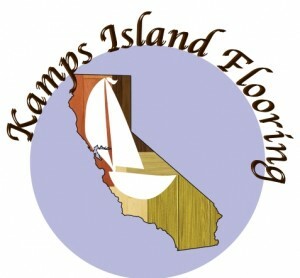 Did you know that there are many other ‘Sunny Days’ stores - all around Southern CA.? I recently (also) popped into her SD store in the quaint shopping-district of Old Town Orange - same great merchandise, same great service. Rate this shopping experience, 5 stars!! Get in shape for spring with Natalie at Island Pilates 307 Marine Ave. Everything to work with from Reformer Machines to Mat! Friendly people—great equipment—lots of classes and private lessons! Stop in soon and start slimming up for beach weather, ahead! I sampled the many offerings featured at the ‘Taste of OC’ held at Newport Lexus - Restaurant Week. Lot’s of hot spots participated, but (2) that sent my taste buds reeling, were signature dishes from Paul Martins Newport B. - best ever short-ribs over mashed garlic potatoes - yum! Comfort in overdrive! Then the ever-popular Ralph Brennan’s Jazz Cafe - Downtown Disney, was a true treat. The food is a Cajun-lover’s dream - all things Bayou! I tried the Gumbo Ya-Ya and spectacular Green Goddess Salad. Unbelievable! The cornbread is even better, but I hope you like hot and spicy . . .
As reported erroneously in the last Coastal Breeze the ‘new stand’ opening at 211 Marine Ave. is actually a Chicago Hot Dog stand. There are a couple of great burgers on the menu, but the focus is on the Chicago Hot Dogs. We are all anticipating the Grand Opening! 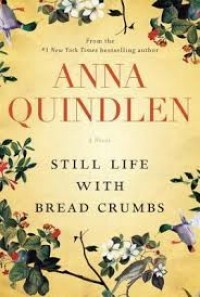 Rebecca Winter, a 60 year old displaced New York photographer, moves to a ‘cottage’ in the country in order to pay her overwhelming bills. Mom is in the home, Dad needs help with the rent, and her Manhattan home comes with huge overhead. There is also a car payment and health insurance. All this leaves Rebecca with $500 per month for everything else. Rebecca figures at 60 her career is over - money from her photographs has slowed to an almost non-existent trickle. Her agent has sold nothing new. She feels her creativity has ended. Then she meets a man, a dog and finds a series of crosses in the woods. The changes in Rebecca’s life that come from this series of events inspired me to think maybe at 68 I could access some of my lost creativity as well. Thanks Again Anna for your wisdom! 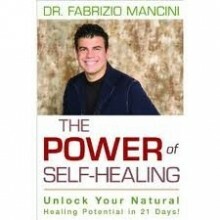 Dr. Mancini writes an easy to understand and simple to put into practice formula for healing. I especially loved his list of ‘The Strengtheners’ - foods you should include in your diet to strengthen your immune system - and why each is important. What follows is a list of chemicals in our food that you should beware of. Next he explains the ever important supplements that the pharmaceutical companies wish would go away. There has been a lot of press lately about how ‘vitamins don’t work’. They are testing supplements at the bottom of the food chain - not the ones that actually do work. Quality is important in the supplement world. Diet, Exercise and a Positive Mental Attitude will also go a long way to making you a much happier, healthier person. 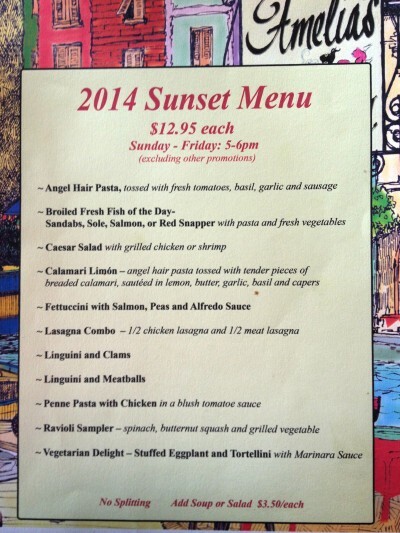 Come have Dinner from the Sunset Menu!! Great Food! Great Prices! TIP FOR THIS MONTH—Don’t Even Think About Steaming Your Hardwood—Water and Wood DON’T MIX—Doing This just puts a Wood Floor Replacement in Your Future when it doesn’t need to be!